The mortgage lending industry is continuing to struggle in a slump as total originations dropped to the lowest level in 17 years in the first quarter of 2014. 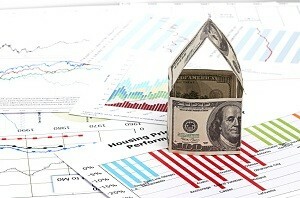 Total mortgage originations between January 1 and March 31 this year slipped to $226 billion, according to the Mortgage Bankers Association. That’s a nearly 23-percent decline from the previous quarter and 57-percent drop from the same quarter a year ago. Rising interest rates and a tighter regulatory environment have slashed refinance activity by 70 percent from a year ago. Rising home prices and an influx of all-cash home purchases by investors also have cut into mortgage activity, according to industry observers. All-cash transactions accounted for a third of home sales in January and February, according to the National Association of Realtors. Lenders are cautiously optimistic about the rest of the year. The MBA projects that originations will increase moderately in the coming months, and that total lending will increase by more than 14 percent in 2015.